While dental emergencies are usually not a fun thing, having one in Waco, Texas isn’t really a bad place for one to happen. There is a vast array of Waco emergency dentists who offer extended weekday and even some weekend hours to accommodate your dental concerns. Emergency Dentists USA offers a comprehensive listing of available emergency dentists. Additionally, our referral service is available to connect you with a Waco emergency dentist or dental clinic in a matter of seconds. When you are in pain, even a few extra minutes can seem like a lifetime. By calling our referral service to locate a nearby dentist, you can not only save time, but also moments of waiting in pain to find relief. It is much faster and more convenient than calling around or directly walking into local dentist’s offices trying to obtain an appointment. Take a few moments to phone our service to help find the pain relief you need. – Walk-in Dental Clinics are clinics that allow patients to come in and be seen by a dentist without having an appointment. For dental emergencies that require an urgency of treatment, walk in clinics are a suitable option. They provide services for a variety of dental issues such as a severe abscess or a cracked tooth. – After hour dentists are your typical dentist offices with extended hours into the evenings and even on weekends to provide patients with more flexibility in scheduling an appointment. These types of dental offices are great for those who work during the week or for dental emergencies that cannot wait until the next day. – When you find yourself in a situation where its past normal operating hours but you need treatment for an emergency immediately, it’s a breath of fresh air to know that there are dentists available to help provide much-needed relief in an urgent manner. Here you will find our comprehensive emergency dental listings. Take a look over the options for dental care and emergency treatment to find one that suits your needs . DescriptionWhen traveling through the Lone Star State, there are many ways in which dental emergency could quickly present itself. If you have a dislodged or aching tooth, make the choice to call our hotline quickly, and get linked up to someone who can steer you quickly back on track. If you are now on the edge of pain, turn it around by walking in to one of these two locations that advertise early morning and Saturday appointments. When you can find a dentist open on Saturday in Waco, TX you may want to jump on it, particularly if you are victimized by a dental complication. Your oral health is of utmost importance to the staff at this ER dental care facility. They strive to make your experience seamless and simple in terms of both treatment and payment. At this family friendly dental practice which is a capable walk in dentist in Waco, TX, you will be pleased to learn that they offer a wide variety of appointments with evening dental emergency hours as late as 7:00 pm. They are known for putting their patients first and have adopted an individualized approach to dental treatments realizing that everyone’s dental needs are specifically unique to their own skeletal structure. The atmosphere at the clinic is described as soothing and friendly and their experienced staff is prepared to provide quality care. With 25 years of history, this emergency dental care clinic in Waco, TX is offering free consultations and an assortment of services. Dr. Russell Russ and Crystell Billman are both graduates of Texas A&M and bring a wealth of knowledge in the field. Description: Acrewood Family Dental is a great practice that you can come to when you need anything from routine dental services on up to emergency procedures such as extractions. It is always so reassuring to know that an experienced staff, excellent doctors, and the knowledge that you will be leaving feeling pain-free again. Right off of Beallmead Dr. in Waco, this clinic can see to your needs and make sure that your teeth are not aching any more, exactly as your schedule defines. Sometimes when you are trying to locate a qualified dentist, the thing you would like to have available to you is a dentist night clinic in Waco, TX. Dr. Gary Williams and Dr. Curtis Quigley offer complete dental care for adults and children. They encourage you to contact their emergency after hours number in Waco if you are stricken with a urgent dental problem that can not wait another day or even another hour for treatment. Offering dentistry services including general, cosmetic, sedation, ER dental care, this medical clinic is primed to get to work on your problem. This urgent care practice is centered around doing what they know will make your visit as comfortable as possible, and they focus on different ways to make it more enjoyable. From extractions to root canals and beyond, the staff here understands that the moments at which you seek emergency dental help can be stressful, and they will always offer you their absolute highest levels of compassion and skilled care. This is an urgent care clinic that is open the standard weekday hours, but will do everything in their power to get you help very soon for your pain. As soon as a tooth really begins aching, don’t put it off, as your emergency could grow worse by the minute! So you’ve scheduled your emergency dental appointment, but it’s time to prepare everything you need to ensure a smooth and uneventful visit. An emergency dental appointment is similar to your traditional dental appointments. The only difference with an emergency appointment is that they have the ability to get you in for treatment in a much more timely manner. When you are preparing everything you need to take with you to your appointment, just consider what you do to prepare for a new patient appointment for other medical professionals. Just like other new patient appointments, you will want to try to arrive at least 15 minutes ahead of time to ensure you are able to fill out any necessary paperwork ahead of time. This will allow for an easier and more efficient visit all the way through. You won’t have to waste precious time filling out paperwork when you already have it ready to go. Try to take any medical or dental documents you might have on your history with you to the appointment. This can help the new emergency dentist get accustomed to your medical history. Have your insurance card and method of payment, should the office not accept your insurance on hand, so that you are ready when it comes time to pay. Alert the front office staff as well as the dentist to any potential allergies to medications that you may have. This can help to ensure that no one is caught off guard during your procedure and after. If the thought of going to the dentist makes you nervous, you may want to let them know of your anxiety as well. If they are aware, they can help to create a more comforting environment for your dental treatments. There are many common dental emergencies that require immediate treatment for the best prognosis. Below you will find a listing of some of the more common emergencies and how to handle them when they occur. Remember that even though we provide information on what to do, should you encounter one of these conditions, this should be used for only informational purposes and should not replace the need for professional dental advice and treatment from a Waco emergency dentist. Your teeth are incredibly strong, but that doesn’t mean they never will chip or break. In fact, a chipped or broken tooth is a common dental emergency. 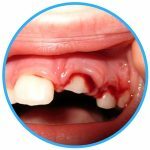 This injury can happen by biting on something too hard, falling, or having cavities. A chipped and broken tooth might not hurt initially, but you will probably feel a sharp edge with your tongue. You must seek treatment at an emergency dentist in Waco, Texas as there is no way to treat this kind of injury at home. Until you are able to be seen, you can help to alleviate pain and discomfort by rinsing your mouth with warm water and applying an ice pack to the outside of the affected area. One of the most important things to remember when it comes to a tooth that has been knocked out is to keep it moist at all times. You never want to touch the tooth by the root as this can further damage it. Instead, pick up the tooth by the crown and rinse it gently with milk or water. Put the tooth back into place as soon as possible, but remember not to force it in. If you are unable to do so, you can keep the tooth moist by placing it into a cup of milk. You will also want to see an emergency dentist within a half hour of when the injury occurred in order to have the best possible chance at saving the tooth. It can be very uncomfortable and sometimes painful when you have an object caught in your tooth. The first thing to try is to grab some dental floss to remove what is caught. If you are unable to do, you will want to go see an emergency dentist in Waco immediately to help remove the object. It’s important to remember that you should never use any sharp objects to try to loosen the stuck object as this can only potentially damage the nerve further. While dentists are typically trying to prevent tooth extractions and do everything possible they can to save your natural teeth, every once in awhile a tooth still needs to be removed. The most common reason that a tooth needs to be extracted is due to an impaction of the tooth. Wisdom teeth in adolescents usually have the tendency to become impacted and need to be removed. 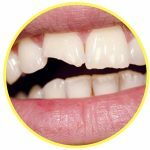 An impaction is when the tooth stops growing in it’s normal growing pattern and instead has shifted and is causing pain by pressing into the surrounding teeth. Teeth also need to be extracted when they are overcrowding the mouth. When proper tooth alignment cannot be achieved due to overcrowding, a dentist will recommend an extraction. Additionally, if a tooth is decayed so much that it cannot be repaired, it will need to be extracted as well. When an extraction is recommended, you should have this done as soon as possible. Most people typically get this procedure completed with only a numbing cream, while some opt to go with sedation to help ease the discomfort associated with tooth removal. When the procedure is finished, you will want to ensure you refrain from hot or cold liquids for a few days as the location where the tooth once was may be a bit sensitive. You can expect to have some discomfort and pain, which is completely normal. You will also notice some swelling for a few days to a week while the healing process is taking place. Ice packs can be placed on the outside of the removed tooth to help reduce any swelling. Initially it takes up to a few weeks for the soft tissues in the mouth to heal, however for the bone to be restructured in your mouth, it may take a bit longer. When you are going through a dental emergency, it’s important to know the treatment options that are best for your condition. Most times people do not realize that there are emergency dentists in Waco, Texas and they rush right off to the emergency room instead. While an emergency room is equipped to handle emergencies, most dental emergencies should be taken care of by a dental professional instead. Emergencies that involve fractures, major soft tissue injuries, and even severe dental abscesses can be taken care of at an emergency room.If you suffer from a chronic illness or have immune system difficulties, a hospital may also be the best choice for you. Emergency rooms are not fully prepared to handle injuries involving dental conditions. This is why checking for a local Waco emergency dentist may be your best option overall to ensure proper treatment and healing. 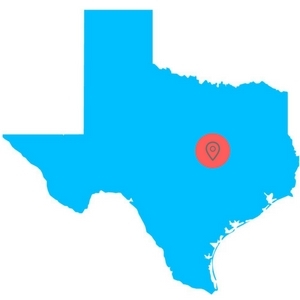 If however you are unable to get ahold of an emergency dentist it would be beneficial to travel to a local Waco Texas hospital for treatment instead. Remember that when you are seeing an emergency dentist in Waco Texas, you want to ensure they have all the proper certifications and qualifications necessary. You can check to make sure they are qualified by speaking with your local dental society to find out more about their certifications. If you find that you are unable to get ahold of a Waco emergency dentist during a dental crisis, you should contact 911 immediately. Want to find an emergency dentist in Pasadena, TX?